The swimming pool is one of the most important signs in any place, whether it is a home, hotel or club. It is one of the first things to be seen when entering the place as it is a place to relax and enjoy, but the swimming pool is a headache in the head of the owner of the house or hotel because of problems related to it from water leakage, floor and wall damage, color change to other problems related to the swimming pool. In fact, such a passion and obsession are not a luxury, but an imperative, and most importantly it is a very nice addition that makes life really comfortable at your home or hotel. 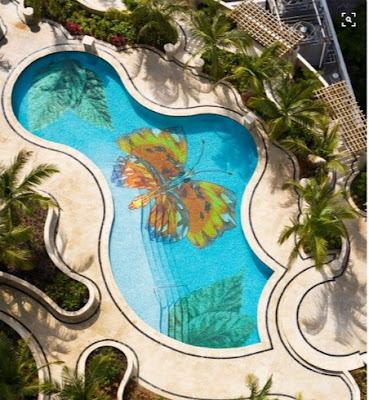 Today we will help you in this regard and we offer you a comprehensive solution not only will end most of the problems of the swimming pool, but also will turn it into a piece of art that dazzles every visitor, whether for your home or your hotel, furthermore it also will add a unique touch and intimacy to your swimming pool. This solution is the three-layer epoxy flooring, which is the three-dimensional (3D flooring). What is an epoxy? What are the advantages of this type of floor? 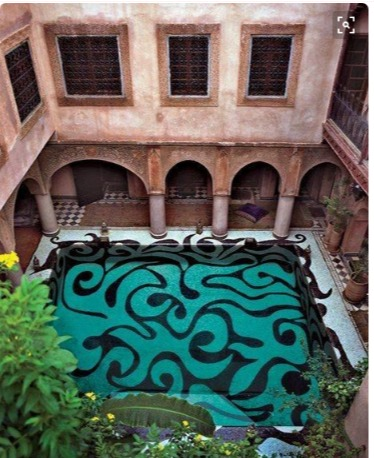 And why is it best suited to swimming pool floors at the moment, superior to all other paints? All that you are going to know in detail in the subject of the day, so it is necessary to complete reading to the end. Paint for concrete swimming pools are different and must have specific characteristics as the environment of its use is rather unusual. This is why conventional paints that we use at home, it does not fit.